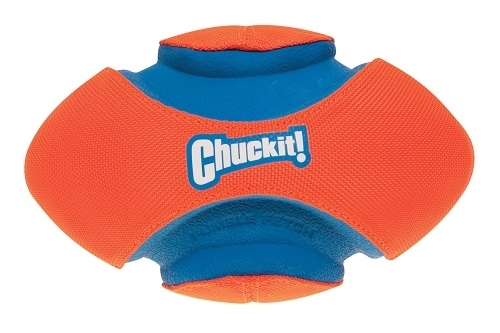 Chuckit!® Fumble Fetch has a classic football shape. A great way to play ground games with your dog. An inverted variable welt makes the Fumble Fetch easy for your dog to pick up.